Elloise India Weddings is a group of brilliantly talented hair and makeup artists, formally known as Claire Wallace hairdressing. 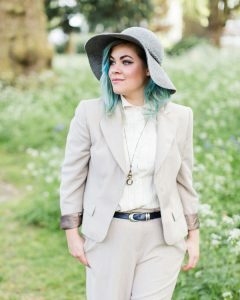 Elloise Willett is the company director and Is a fully trained Hair and makeup artist with many years of wedding hair and makeup experience. After graduating from Centre stage makeup school back in 2011, Elloise instantly knew that she wanted to be part of the process of someone’s special day. Elloise absolutely loves that feeling you get knowing you have put all your hard work into making someone look their absolute best,to make their day that little bit more magical. When Elloise works with a bride she always makes sure every detail of the brides look is exactly how the bride desires, taking time to listen to all her needs and requests,to ensure she looks gorgeous and feels a million dollars on her wedding day. 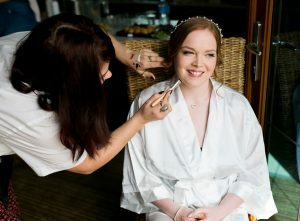 Alongside her wedding work, Elloise has many makeup and hair skills such as fashion, theatre, TV and special effects. Elloise has been involved with the BBC, various festival work including Glastonbury and Latitude (applying makeup and hairstyling for the artists backstage), various TV work such as the Olympic closing ceremony and makeup for the BBC sports personality of the year. She has also done film work on the Invisible Woman directed by Ralph Fiennes and many music videos, one being Clean Bandit’s music video featuring Lily Cole. Elloise has also been involved with fashion shows, photo shoots, makeup lessons and theatre work, one of her most recent jobs in theatre was applying makeup for Sir Micheal Parkinson and his son for the show An evening with Micheal Parkinson. Elloise offers exceptional wedding hairstyling and makeup service to her clients in Surrey, Sussex, London, Hampshire, Kent, Essex and the surrounding areas. One of the best things about our work is that we often get to go to some absolutely fantastic locations! Spread around our ever-growing service area of Kent, Surrey, Sussex, Essex and beyond over the years we’ve found some wedding venues that are real hidden gems as well as the big locations that you no doubt will already know. If you’d like to see a little more information (and maybe find that perfect venue on your doorstep) you can click on the map link and see our Google places map of where we’ve worked. Or, see our top-10 wedding location picks here.